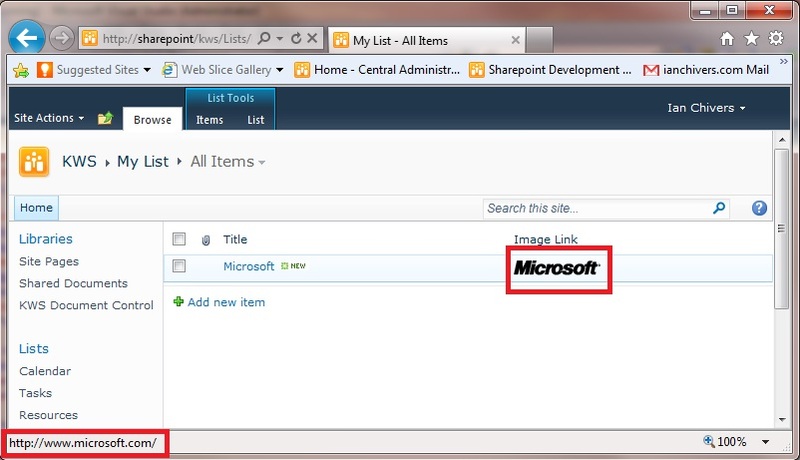 I've recently published my latest CodePlex project. 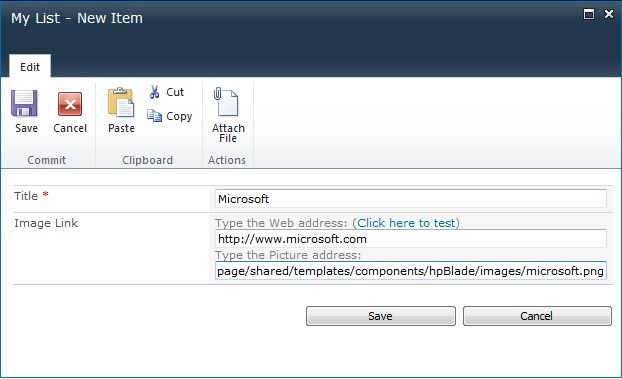 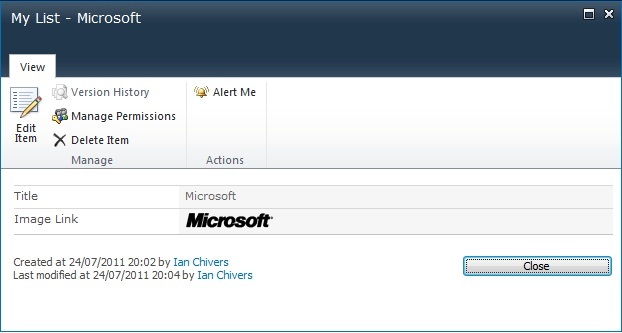 It's a Sharepoint 2010 Custom Field Type that extends the SPUrlField type to allow you to have an image instead of a text description as the link. 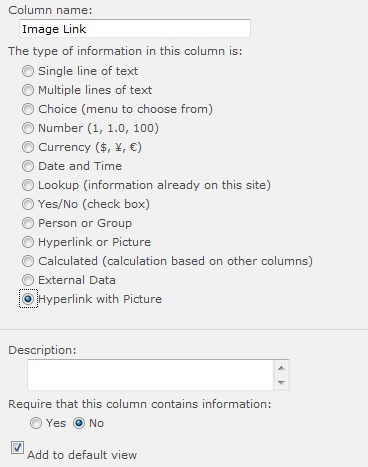 When creating a new column, the feature adds a new type called "Hyperlink with Picture"
The new column is exactly the same as a Hyperlink type column, but instead of displaying the link as the description text, it shows an image instead.